Honda’s 2019 off-road lineup is here and they’ve done that which I never thought I would see: a new 450cc bike with a plate. That’s right. No more bemoaning the difficulty of finding a pre-’08 model and then trying to get it plated (at least for those of us in California), and no more whining about those orange bikes. You can now get your very own, complete with new-bike financing (for those of us who maybe aren’t so great about keeping stacks of cash in the bank). 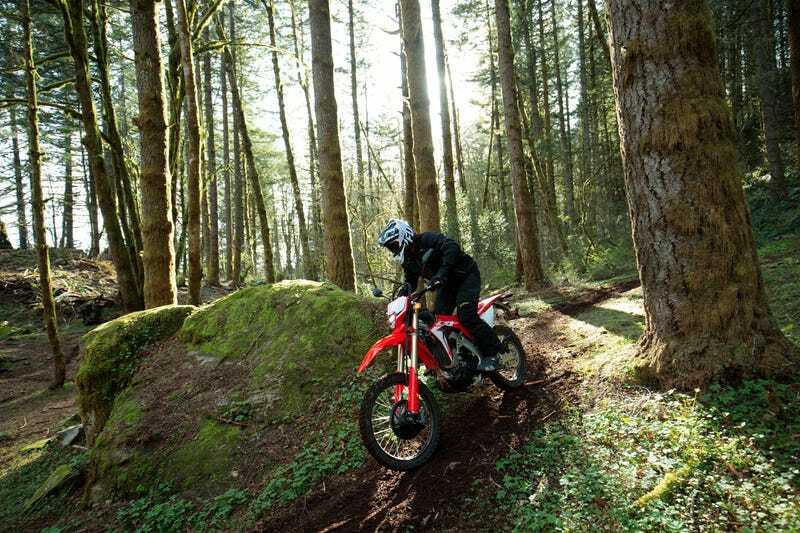 Honda calls the CRF450L a true trail to trail machine, which is to say they’re at least claiming this isn’t like the CRF250L (which is the not as much a true dirtbike as it is an upright and light-ish bike with knobbies). It was designed in tandem with the new CRF450X—one of the most popular bikes for Baja and desert riders. Twin-spar aluminum CRF frame, six-speed transmission, “premium suspension,” electric start, led lighting package. The CRF450L retails for just over $10k and comes in red, duh. In addition to the CRF450L, there’s also a redesigned CRF450X (the Baja or desert machine for the guy who doesn’t need a plate), CRF450RX (the enduro racing machine), CRF450RWE (the track machine with every bell and whistle they could find), and CRF250RX and CRF250X for the enduro and trail guys who want something a bit smaller. It’s so great to see the Japanese manufacturers start to push into KTM/Husqvarna’s ownership of the dual-sport category. The CRF250L is pretty poor as a proper dirtbike and the 650 is approaching twenty years old and is quite the pig. I love the Husqvarna FE 350 I spent this winter riding, but competition brings progress and better pricing — and that’s better for all of us. Now we just have to see if these new red machines actually deliver.